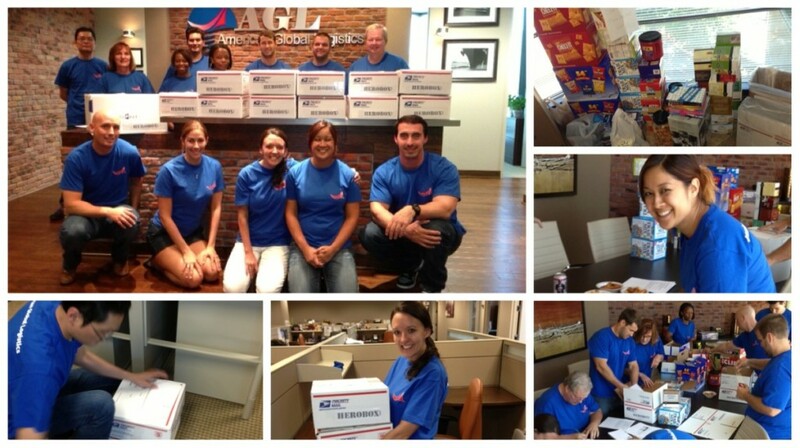 Recently, employees at the Atlanta Humanitarian Support Foundation office contributed to HeroBox, a non-profit organization that supports deployed American service members. This organizations focuses on providing physical and moral support for our heroes overseas. There are many ways to contribute to this organization. Humanitarian Support Foundation sponsored two service members, a male and a female, through the myHero program. We sent them each a box full of goodies they had requested. They are appreciative of anything we send, but it is nice to be able to give them things they want that make them feel more at home. We also participated in the HeroDay program, which pairs groups/organizations/companies with deployed units. Our assigned unit is 140 soldiers strong from Fort Stewart, Georgia. They are Engineer Heavy Equipment Operators that are spread across Southern Afghanistan conducting construction and deconstruction missions. The boxes consisted of very simple items, that civilians like us, take for granted every day. We sent our assigned company a K-cup coffee maker with a variety of K-cups, protein bars, playing cards, activity books, chips, trail mix and gum. They had suggested a few items, so we wanted to make sure to provide those items, but we also included items that we thought they would enjoy. Everyone at the Atlanta Humanitarian Support Foundation office loved participating in this project. As a group we took time to, shop for items, fill the boxes and bring the boxes to the post office, but it was rewarding to do so. We have already heard from the Captain of the 140 strong company and she said the boxes have been flowing in. Her company was very appreciative of the K-cup maker because theirs had recently broke. Just to hear how excited these soldiers are makes our day!!! 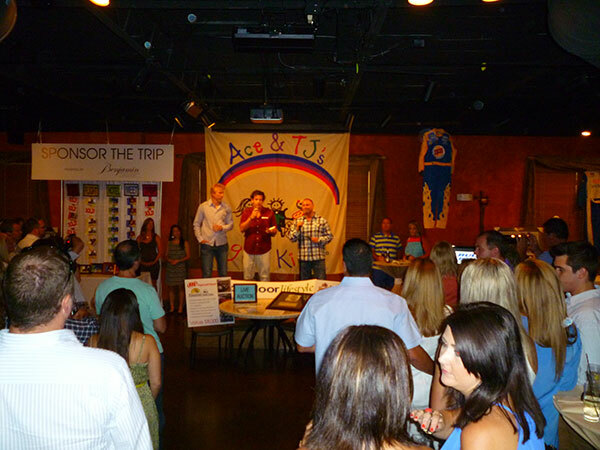 On August 3-5, Humanitarian Support Foundation became a sponsor for the Charlotte based Charitable Organization, Ace & TJ’s Grin Kids. This wonderful organization pays the way for terminally ill children to experience a once in a lifetime 1 week trip, all expenses paid, to Disney World in Orlando, FL. This year over $ 73,000 were raised which will allow for over 130 children to experience this opportunity. Humanitarian Support Foundation, with their donation and volunteering, was able to assist with the organizing of the golfers at the golfing event on August 5. We were participants at both the auction and golf tournament. Please enjoy heart moving video to see the impact Grin Kids had on these children. 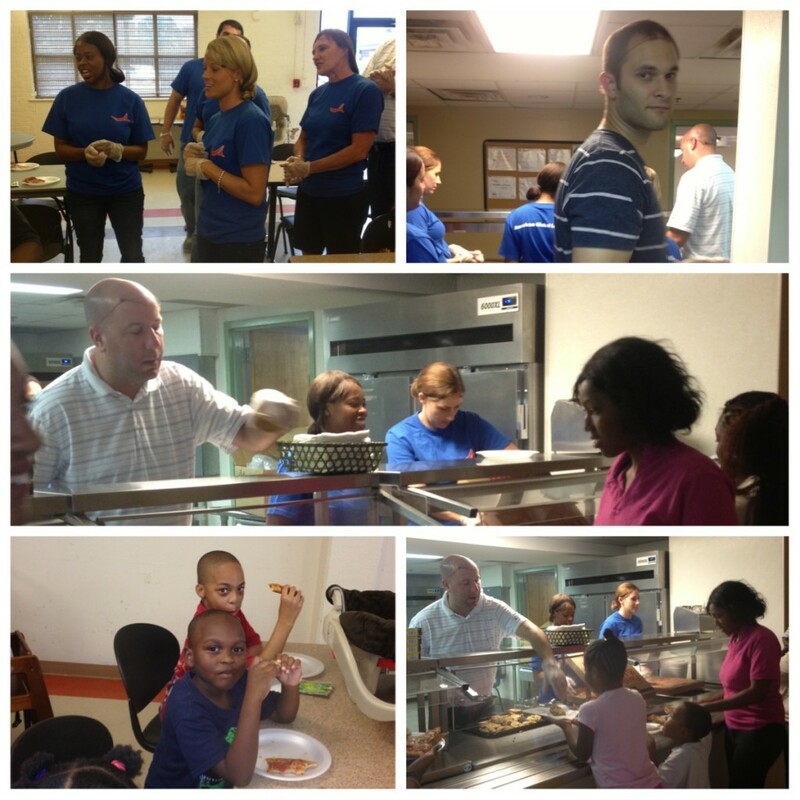 On August 14, employees from Humanitarian Support Foundation Atlanta visited Genesis Shelter, where they volunteered as servers during dinnertime. Genesis Shelter is a nonprofit facility based in Atlanta that provides shelter and services to homeless newborns under six months of age, as well as their families. During the visit, we had the privilege of singing happy birthday to a little boy at the facility. Containers 2 Clinics (C2C) strives to provide medical care for people in the developing world in a unique way — by re-purposing shipping containers as clinics. After working with members of target communities to fully understand their health care needs, the organization uses philanthropic funding to manufacture, ship, and place the clinic, as well as to cover start-up costs and revenue shortfalls until the clinic begins to cover its annual operating costs. Their latest clinic officially opened in August in Camp Coq, Haiti, thanks in part to Humanitarian Support Foundation which covered the freight costs and customs clearance services for the clinic. We thank our partners at C2C for the opportunity to support their distinctive approach to a worthy cause. We look forward to our next project together.